An innovative continuous reaction process was developed by the R&D department of our client to replace an existing batch process. 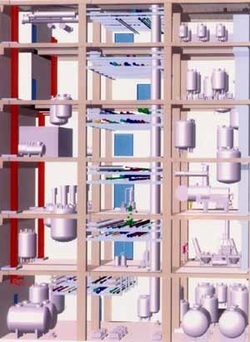 Due to the special requirements (long residence times, narrow RT distribution, compact construction, easy cleanability, etc.) 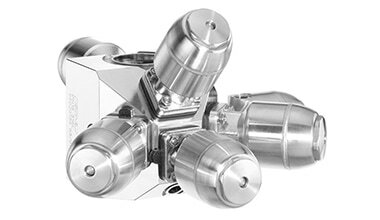 sterile shell-and-tube heat exchangers were selected. The quasi-dead-zone-free design allowed to minimize back-mixing and therefore improve the reaction yield. Consolution AG developed the conceptual and basic design, coordinated the purchase of main equipment and supported the local team "on-site" during detail design and start-up of the production. Consolution AG supported the project team with two project engineers during planning, construction and commissioning of the modification of an existing pharmaceutical plant to produce a new drug. The scope included: conceptual, basic und detail design, support during purchase of equipment and construction, commissioning (DQ/IQ/OQ) and start-up. Consolution AG supported the project team with two project engineers during the operational qualification of the replacement of the automation system (from PCS7 to DeltaV) in an existing plant for the production of a drug to combat high blood pressure. 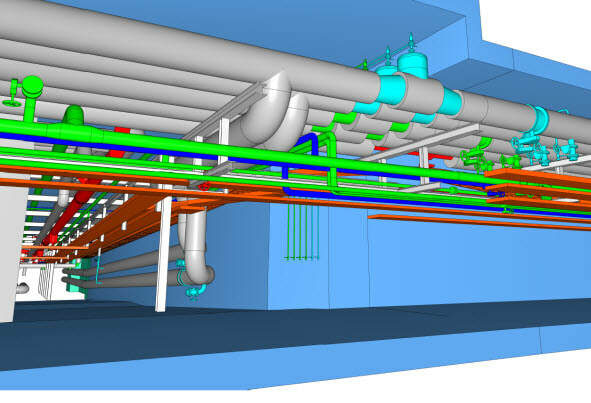 Consolution AG supported the project team with two project engineers and a CAD-technician during planning, construction and commissioning of the modification of an existing pharmaceutical plant to produce a new drug. The scope included: conceptual, basic und detail design, purchase of equipment (incl. FAT/SAT), commissioning (DQ/IQ/OQ) and start-up. Market evaluation and Conceptual Design of material handling and production plant for elaboration of highly active substances. All production areas were designed under containment for substances hazard class 3B. Project Management for preparation of the transfer of an existing production plant of vaccines-adjuvants to a new production building. - Implementation in the integrated Engineering Platform (iEP) under Comos linking the real-world devices. 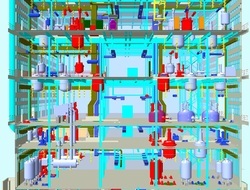 Consolution AG supported with a project engineer and a CAD-technician the expansion of the cleaning plant for containers. 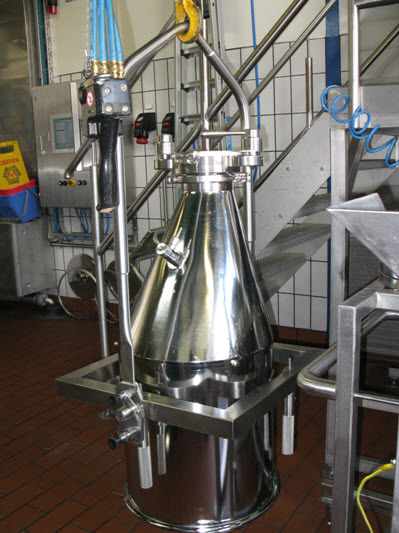 The plant, designed for drums and small bins required for the handling of API, must guarantee GMP compliance. 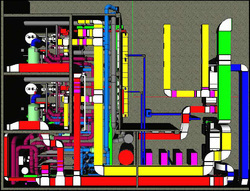 Consolution AG supported the project team with two project engineers and a CAD-technician during planning and construction of a discharge station for liquid, highly active and chemical residues. 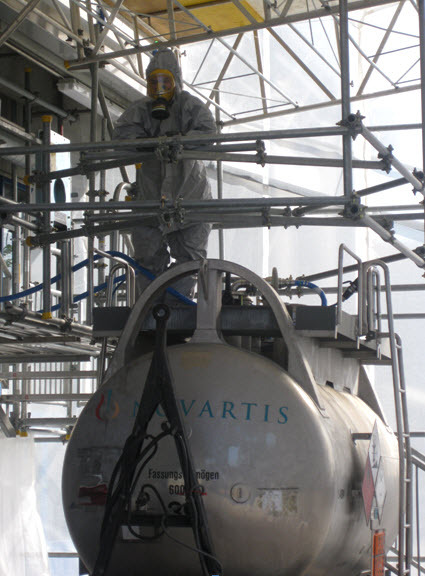 The tanks required for the transport of the liquid residues can now be connected in a safe manner. 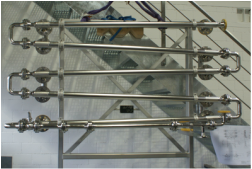 Consolution AG developed the basic design and coordinated the detail design (on site) of an innovative continuous reaction process developed to replace the existing batch process. Consolution AG supported the project team with three project engineers during qualification and start-up of a plant for production of a drug to combat high blood pressure. 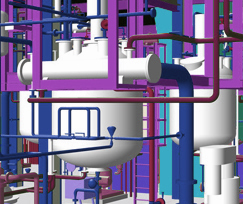 Consolution AG supported the client during the 2D/3D design of a production plant for manufacturing of a pharmaceutical active ingredient. 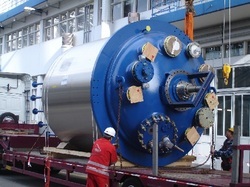 - Heat exchangers, pumps, etc. - Project and plant documentation. Consolution AG supported the project team with a process engineer responsible for a whole production step during planning, construction and commissioning of a multipurpose plant for manufacturing of APIs. - Technical support during "auditing" of suppliers. - Technical support during purchase of equipment. - Document handling und creation of final documentation. Consolution AG supported the creation of an equipment module library during the planning of several API production plants. The equipment modules were developed to cover different degrees of automation levels and were also implemented in the “integrated Engineering Platform” of the client, to be available for projects worldwide. 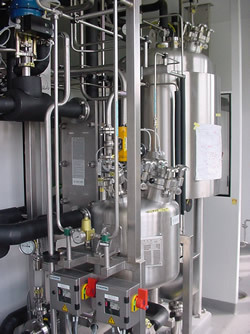 - Planning and construction of the CIP/SIP (Cleaning in Place / Sterilisation in Place) plant and loops, as well as Loops for Purified Water and Water for Injection. - Creation of the respective P&IDs and process description (in German, English and French). 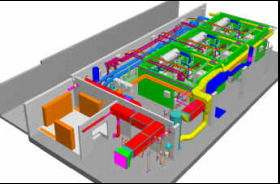 - Plant and equipment design. - Adherence to GMP requirements. 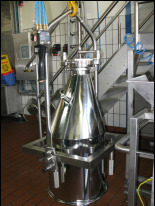 - Startup of the CIP/SIP plant. - Validation of the purified water supply. 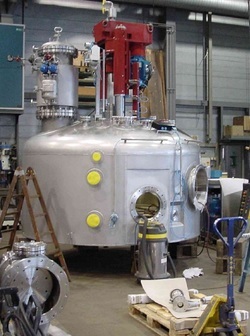 Consolution AG supported the project team with one qualified engineer responsible as Module Owner for falling film evaporators, Extractors und buffer tanks for a project in the area of Pharma. - Creation of the P&IDs. - Creation of the process description (in German, and English). 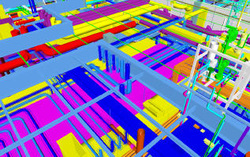 The previous CAE-Environments (Bentley and Intergraph-PDS) needed to be integrated into the "integrated Engineering Platform" (iEP) under Comos. Consolution AG supported the implementation of the iEP (including data migration from the old systems into COMOS) with one engineer. System support to plant owner of vitamin production. Consolution AG supports with one CAE-technician the areas of 2D und 3D Design, as well as the related data management.